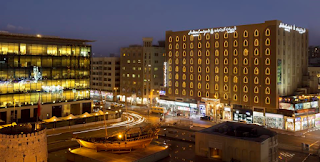 Dubai, 02 Feb 2017: An Arabian heritage themed hotel located in the heart of Bur Dubai, Arabian Courtyard Hotel & Spa has been leading the online space with excellent online sales management. The hotel has been using RateTiger Channel Manager for the last few years to update rates and inventory in real-time and implement distribution and pricing strategies effectively leading to growth in share of online sales. Team eRevMax will be present at ITB Berlin in March – contact us to set up an appointment today.